How to master a robot? OMRON are consulted daily about problems at production sites, for example "Can we reduce the labor involved in packing products from a conveyor belt?" Many of these customers already have robots in place. However, there is still a problem as staff working on the production line must learn to master the robot to customize it to their use case. For example, a robot which grips and packs products that are being carried by conveyor. Ideally these products would pass under the robot at regular, precise intervals however, in the real world this never happens. Sometimes the interval between products is very short, or there may be products overlapping on the belt. In the worst case these random events can cause the robot to miss some products as they go by. The robot, which was initially brought in to release people from the job of packing, is now creating new work as a staff member must observe the robot to make sure it is not making mistakes. 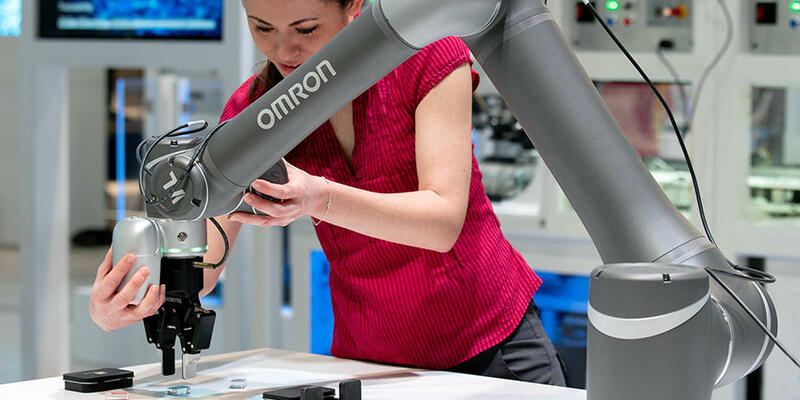 OMRON's production engineers work on the frontlines at client's factories, ensuring challenges are overcome. Kiyota, one of the core members of the Automation Center, is one of them. One option for solving problems is to remodel the production line. However, it is not realistic to spend a huge amount of money to install a new production line or to stop the existing line to install the new one. 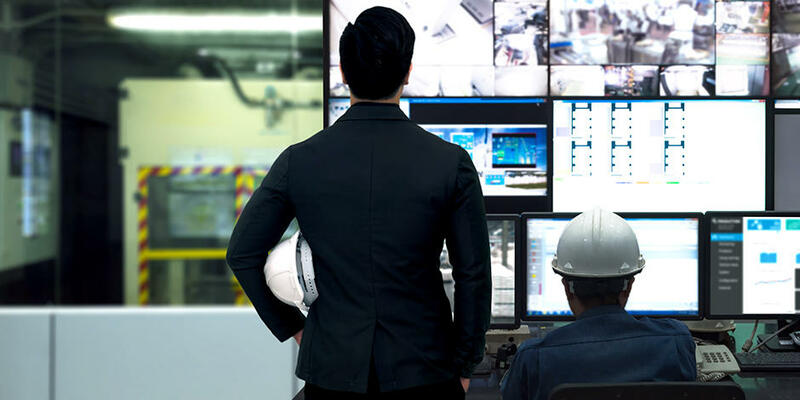 OMRON's engineers endeavor to improve productivity, quality and safety through the optimization of existing facilities at manufacturing sites. "Wouldn't the robots be able to catch products quickly and reliably if they were aligned from the start of the process?" To solve this problem Kiyota devised a way to disperse products which had become clumped together. This mechanism allows products to be spread out and aligned in an ordered fashion by controlling the speed of the conveyor. Optimizing the delivery of the products to the robot in this way greatly increases its accuracy and removes the need for a human observer. At the same time, they are working on improving the intelligence of the robots. In general, robots are great at grabbing hard products, such as items made of metal, they have problems however with soft or irregular items such as food. In extreme cases products on the line can be damaged by the robot if the control system is not designed properly. To overcome this issue the engineers constructed a system integrating OMRON's cameras, robots and controllers allowing the robots to better judge the position of items on the conveyor and the force required to grip them securely. This system led to great increases in productivity on production lines involving soft items such as croquettes or buns, in some cases picking speed was increased to over 60 items per minute. It can also be the case that the processing speed at one location on a production line may be too fast and products are being supplied in excess. When this happens, products may overflow the conveyor and lead to a halt on the line. Kiyota suggested efficiency improvements not only to the processes he was assigned to deal with by the customer but also for the other aspects of the production line. Kiyota's proposal, which took into account the productivity of the entire factory and not only the requested process, greatly exceeded the customer's expectations. In response to his proposal, the customer said, "let's try". As a result of the new system being implemented productivity at the site was greatly improved. Automation Center, OMRON's in house laboratory for simulating a customer's problems. However, Kiyota's solution represents only one problem at one manufacturing site. If there are 100 sites then there are 100 problems with 100 solutions. To tackle all of these issues, engineers who have strong skills and experience in manufacturing must visit every site, working in partnership with clients to identify and rectify problems. The Automation Center is OMRON's answer to this issue. The Automation Center works on development of cutting edge factory automation (FA) technology for the manufacturing industry, which enables OMRON to verify optimal production line construction plans with a customer's real equipment. "OMRON's strength is that we can offer solutions that meet the needs of each production site and, if they find themselves facing a new problem, we are always in a position to offer them guidance on it. 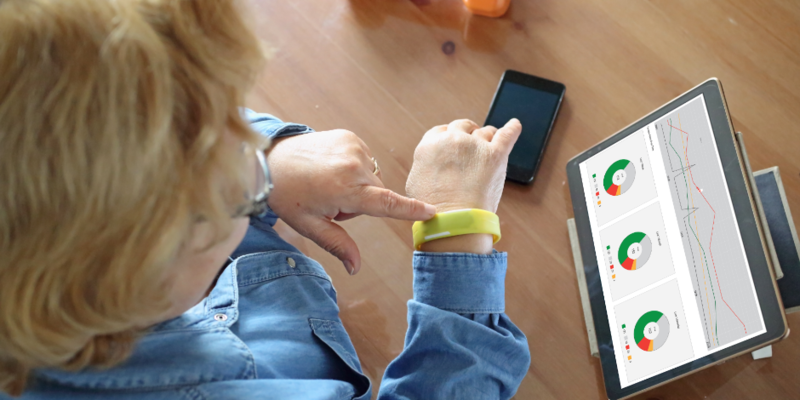 As long as our customers keep manufacturing, our challenge never ends."